SadinterSAD Group originated in 1962: they select and commercialize industrial electrotechnical equipment. Sad Group consists of three entities. Sadinter takes care of the railway equipment and production & distribution of electrical energy, Elecom specializes in the selection and commercialization of electrical security materials and Sadinter-Sogecomex in distribution activities and services. Acertys HealthcareAcertys assists her customers in the search for a tailor-made solution with a sophisticated portfolio of products and services. Supported by her staff’s years of experience, customers are headed for a carefree future with a focus on process continuity. Eureka Pharma Eureka Pharma is a new customer at Pure Solutions. Eureka is a one-stop service provider for the Belux pharmacy market, specializing in sales. Together with pharmacies and their suppliers they distribute in an enthusiastic and thoughtful way, products and services that respond to the real needs of patients and customers. Royal CaninCredon welcomes Royal Canin. They are specialists in high-quality dry food for dogs and cats. Royal Canin is present in numerous countries throughout the world. They have private research centers where they, in cooperation with veterinarians, veterinary universities and experienced breeders come to quality food and unique nutritional concepts. Roelandt BakeryThe Roelandt Bakery has become a client of CCE. Their family has three generations of experience in the bakery industry. They began as a modest village shop and have grown during the last 60 years to one of the leading industrial bakeries in Belgium, with an extensive fleet of vehicles for 7 days a week delivery. Algist BruggemanCCE welcomes Algist Bruggeman as a new QV customer. Since the creation of Algist Bruggeman in 1949, they have grown to become a leading manufacturer of baker’s yeast. They started out by producing alcohol, which explains their name : AL(cohol) and GIST (Dutch for yeast). The company develops new yeast products and applications to quicky meet the changing needs of the bakers and industrial bakeries. D’ArtaD’Arta has joined as a QV customer at B-Inside. They are a young vegetable processing company in the frozen vegetable sector, founded in 1988. D’Arta has an automated machine park to anticipate possible harvesting problems and shortages. They have several representatives in different countries and also a Portuguese brand since 1996, which produces a number of typical Mediterranean products. Chimac-AgripharEasi welcomes Chimac-Agriphar. Chimac was founded in 1945 as one of the first Belgian companies specialized in production and trading of agrochemical products. Their Group is exporting to more than 130 countries worldwide. In 2005 they split into two independent companies : Chimac and Agriphar who form the Agriphar Group. Packo InoxPacko Inox joined Pure Solutions. For almost 50 years Packo has been producing milk cooling tanks, collection centers, tubular coolers, milking machine components, pasteurisers, ice water systems, pumps, etc. They also manufacture stainless steel equipment for the food industry, like storage tanks centrifugal pumps and complete processing units for milk, beer, yeast,… Packo is also manufacturer of stainless steel pharmaceutical tanks. TosohTosoh Corporation is the parent company of a Japanese chemical and specialty products and materials group that comprises 133 companies worldwide. Tosoh Europe is the sales and distribution arm of Tosoh Bioscience – who are specialist in the field of bioseparations. Tosoh has different product division : advanced materials, bioscience, cement, chlor-alkali, olefins, organic chemicals and polymers. Andi DrukFor more than 80 years, Andi Druk is a professional partner for graphic production and printing. They print offset but also digital, which is a lot less stressful to the environment and very fast and flexible for the customer. Durable and corporate social responsibility is very important to them. JevekaJeveka is a well known supplier of fasteners and tools. They are an independent wholesaler and provide products for various industries since 1937. Their core activities are buying, storing and selling fastener tools and closely related products. Also special products according to the specifications and drawings of a client can be produced. G&V Energy GroupG&V Energy Group is a new QV customer for Icasa. They are a dynamic group of companies, active since 1989 in the sector of the petroleum distribution with plenty of gas and service stations in Belgium. In addition they are also active in the transport of petroleum products from the refinery to the depots and further transport to petrol stations of different brands. 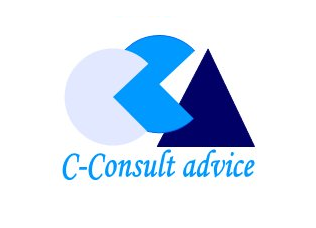 C-Consult AdviceC-Consult advice is mainly active in the development, distribution and promotion of computer software for the medical sector: administrative platforms, scheduling, minimal abstracts, meal and inventory management, benchmarking,… They have 28 years of experience and are present in 75 hospital centers in Belgium. The company arose from the fusion of several information technology companies, of which one was founded in 1985. MetrumMetrum is an IT solutions provider based in Luxembourg. They develop tailor-made, specific applications in order to take control of the data and adapt their IT solutions specifically to the needs of the customer, to help manage their time, risks and problems as well as the quality of services provided. 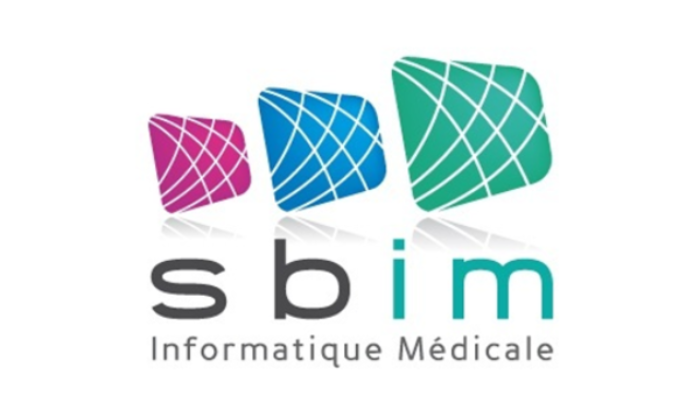 S.B.I.M.SBIM specializes in administrative and medico-technical software development mainly in the medical sector. They have over 25 years of experience and among their clients you find hospitals, polyclinics, laboratories,… They offer a complete service; both by improving existing products and the development of innovative solutions. 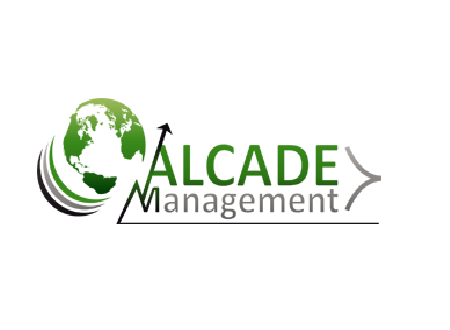 Alcade ManagementAlcade is a consulting company, created in 2006. Their core activity is within the domain of Project Management. Pharmacy, Energy (Oil&Gaz and Nuclear) and construction are the main sectors that they provide consulting and technical suggestions to. They now have agencies in Belgium, France, Cambodia and Morocco. 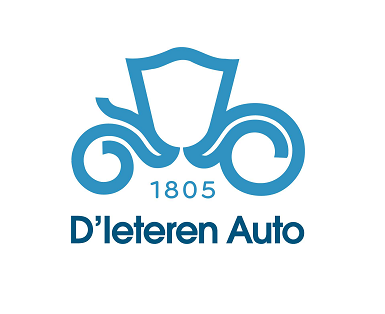 D’IeterenFounded in 1805, D’Ieteren distributes the vehicles from the Volkswagen group, Audi, Seat, Bentley, Lamborghini, Porsche, … . They distribute spare parts and accessories as well as used vehicles. Their Finance department offers long-term car rental & financing services, while D’Ieteren Sport distributes two-wheelers. 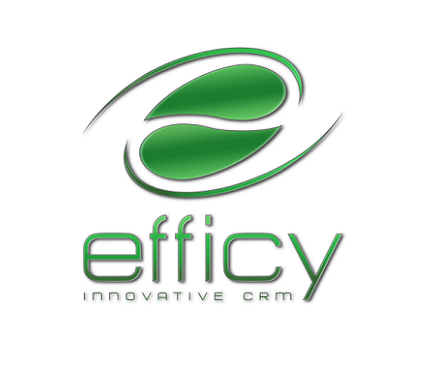 EfficyEfficy is the producer of the eponymous Cloud-based and on-premise CRM solution. After six years of existence, this Brussels start-up has become a major player in the SaaS CRM market and has sustainable growth in Europe. Today, Efficy and its partners consist of over 90 collaborators throughout Europe, with approximately 1000 customers and more than 30,000 active users. 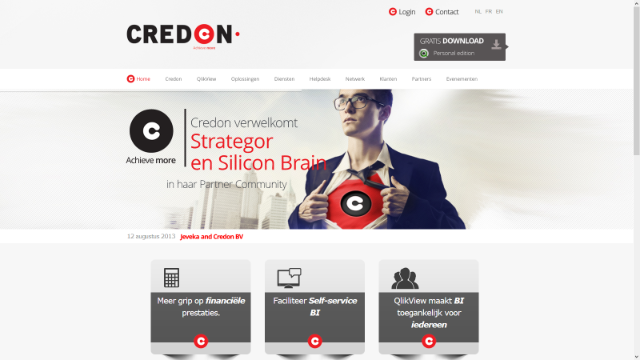 Credon is delighted to announce her partnership with Lemon Solutions. “The collaboration with Mark and Christine has a tremendous potential for the growth of our company’, says Kurt Van Eeckhout. “They will be an effective extension of our sales potential throughout the Benelux region”. 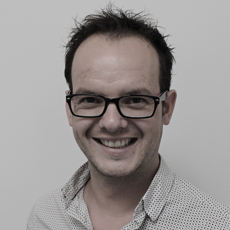 “As the market potential for QlikView is much bigger than the amount of time available to our current sales organization, we truly believe that working with Lemon Solutions, will enable us to better serve our existing customer while keeping focus on extending our current QlikView community”, says Joris Vastenburg. Lemon Solutions BV started in June 2013, created by Christine Legroux and Mark Oude Nijhuis. 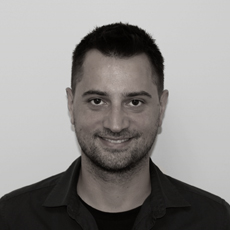 With several years of experience in Business Intelligence and a passion for Predictive Analytics. Offices in the Netherlands and Belgium. They are a sales company with high focus on Solutions and fast implementations. After working for 5 years as a shop manager in a computer store, I was quite intrigued about software and how it was made. So I decided to go back to school and study IT. I had always hoped to find a job where the social, commercial and technical aspect would be equally divided. 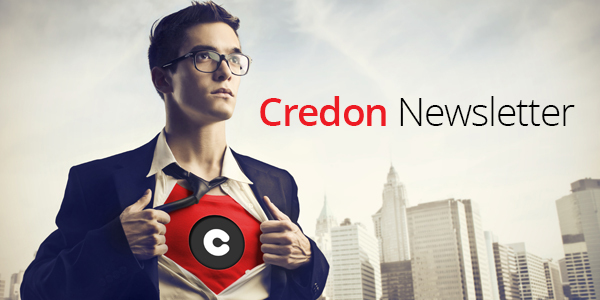 And after I completed my internship here at Credon, I knew it was possible. So you can imagine that when I got the chance to become a consultant here, I grabbed it with both hands!And now, 2 months later, I’ve gone from one to many applications, from student to consultant and from intern to colleague . And I’m very excited about it all! To end I would like to cite a quote:“Choose a job you love, and you will never have to work a day in your life.”, that’s the plan! 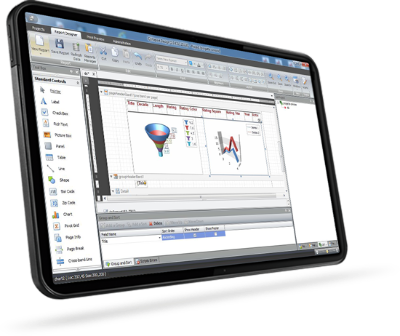 In my previous job as Marketing Manager at Panasonic’s Professional Division, I worked with different business processes like P&L Reporting, Business Planning, Budgetting, Forecasting, Sales Reporting, Market Analyses, Pipeline overviews etc.In my new role as Account Manager at Credon, my main task is to convince Finance and IT Professionals that QlikView is the easiest BI tool to reach the next level in insights and reporting. In my own discovery, I was truly amazed by QlikView’s self-service capabilities and recognized the potential of its business discovery model to help a lot of companies.I believe in teamwork and I am looking forward to work closely with my colleagues at Credon, Credon’s partners and QlikView HQ to help companies get the most intelligence out of their business systems. QV Report is a complete reporting environment to create and manage pixel perfect reports based on QlikView objects. You can distribute these reports to an email in a click.The simple report wizard works step-by-step with a wide selection of controls and allows you to filter your QVW to the last of details. Afterwards you can browse, filter and print these reports using QV Report’s web client. You can schedule automated mailing procedures with QV Mail and reach your internal and external customers. Euronics is the largest Belgian purchase grouping in the field of consumer electronics, photo, IT, telecom and electrical goods. ­ QlikView made it easy for Euronics to analyze stock, sales figures of the various shops and to report this to their suppliers. We are looking forward to nice suggestions and feedback about our new website !Here you find a preview, just click on it and take a look at our new design. These certifications run through the independent party Pearson Vue.